Last Saturday, we visited the International Collectors Fair in Utrecht and yesterday we did a post with 15 of Paul's acquisitions. Today it is Ivo's turn. Paul went from Fatty Arbuckle to the Red Hot Chili Peppers... This time not such a great leap, 15 vintage postcards from La Divine Sarah Bernhardt to Claudia Cardinale. Sarah Bernhardt. French postcard by Croissant, Paris, no. 1530/8. Photo: P. Boyer. 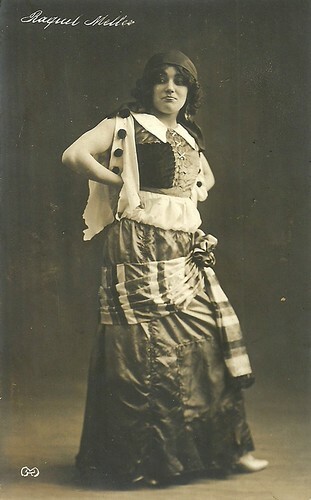 Publicity still for a stage production of La Dame aux Camelias. Ricardo Cortez. German postcard by Ross Verlag, no. 3216/1, 1928-1929. Photo: Delfina. Publicity still for The Private Life of Helen of Troy (Alexander Korda, 1927). 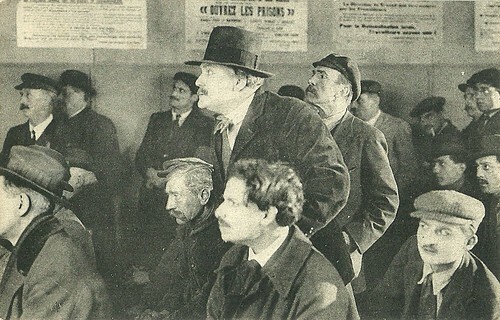 L'empereur des pauvres (René Leprince, 1922). 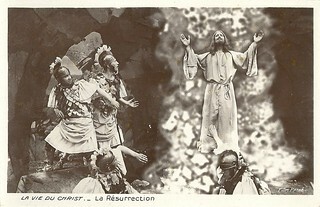 French postcard of a scene with Henry Krauss. Polaire. French postcard by F.C. & Cie., no. 250. Photo: Boyer & Bert, Paris. 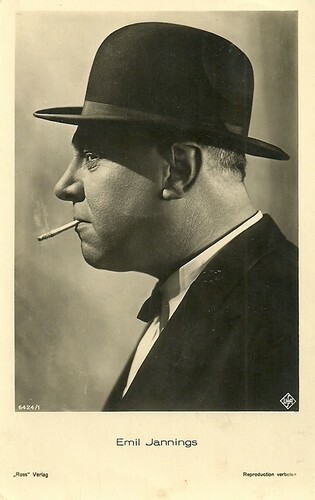 Emil Jannings. German postcard by Ross Verlag, no. 6424/1, 1931-1932. Photo: UFA. Sylvie. French postcard. Photo: Pathé. Jean Worms. 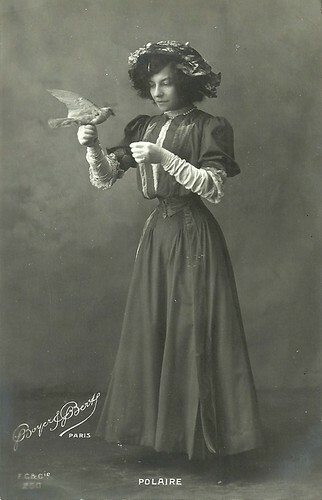 French postcard by P.A., no. 312. Photo: Henri Manuel. Bathing Beauty. 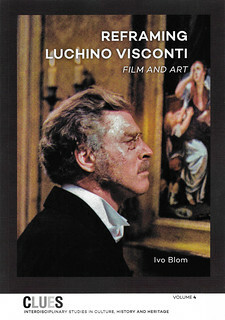 French postcard by Cinémagazine Edition. Photo: Mack Sennett Comedies. Lupu Pick. German postcard by Ross Verlag, no. 23/1. Photo: Atelier Bieber, Berlin. Ramon Novarro. 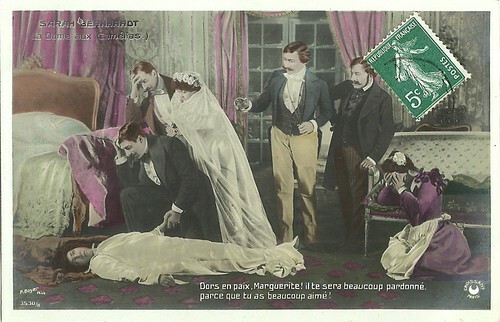 French postcard by Editions Cinémagazine, no. 237. Photo: Metro-Goldwyn-Mayer. Publicity still for Ben Hur: A Tale of the Christ (Fred Niblo, 1925). Raquel Meller. French postcard by R. Guilleminat, Paris. Gladys Walton. 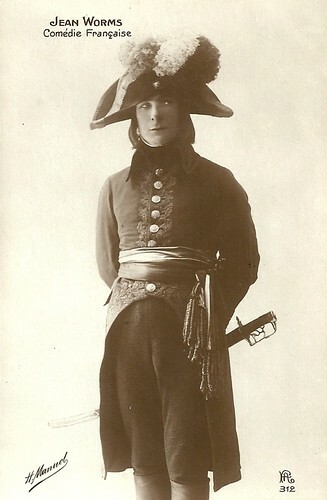 French postcard in the Les Vedettes de cinéma series by A.N., Paris, no. 2. 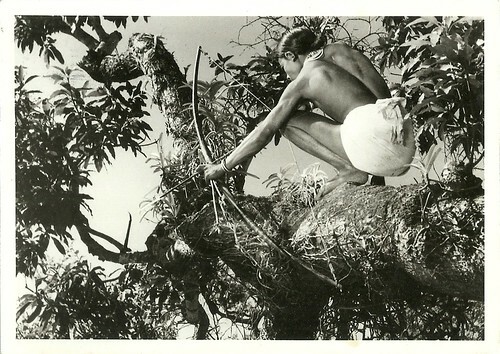 Photo: Universal Film Co.
French publicity postcard for the documentary La loi de la jungle, originally titled En djungelsaga (1957), shot in India by the Swedsh filmmaker Arne Suckdorff. 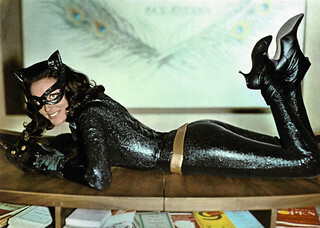 While this card is in black and white, the film was in Eastmancolor. The film was shown in France also as L'arc et la flûte, its American title was The Flute and the Arrow. 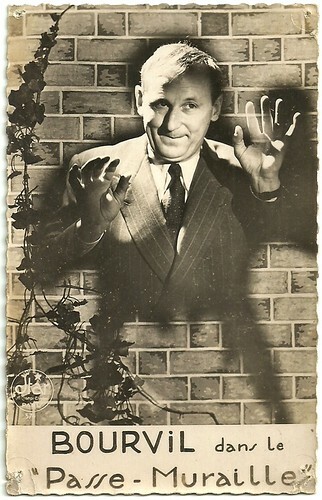 Bourvil. 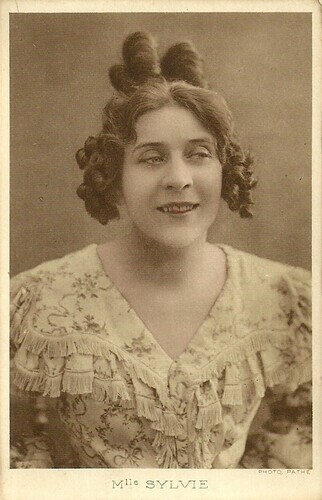 French postcard by Les carbones Korès, no. 21E. Promotion card for the French film Le Passe-muraille (Jean Boyer, 1951). Claudia Cardinale. German postcard by UFA.